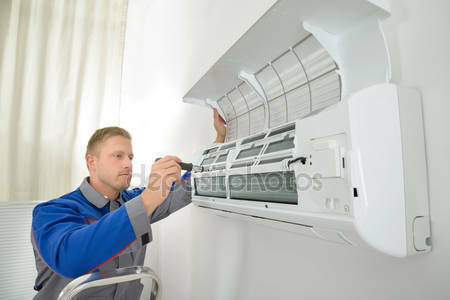 If you have a ductless heating and cooling system in your home, Montgomery Heating & Aire in Mountain Home, AR, recommends inspecting your unit for damage and scheduling annual maintenance checkups to ensure it’s operating properly. By familiarizing yourself with how ductless systems operate, you can service your unit when needed and guarantee it’s efficiently heating or cooling your home all year. Leaking Refrigerant: Ductless heating and cooling systems are manufactured with all of the necessary refrigerants to last for its entire lifetime. If you’ve noticed your unit isn’t blowing cool air during warmer weather, there could be a major leak in your system. Drainage Issues: One issue Montgomery Heating & Aire finds in their clients’ ductless heating and cooling units is with the drainage system. When temperatures increase in Arkansas, it’s not uncommon for these units to experience more condensation. To avoid this problem, they can make sure your unit is mounted correctly on the wall and that the drainage pipe is properly installed. Knowing how to prevent these issues from happening or how to spot signs of problems early on will protect your property from damage, keep your utility bills low, and ultimately, keep your family more comfortable. To learn more about Montgomery Heating & Aire, call (870) 435-1501 or like their Facebook page for updates on social media.